The Early Edition is a kid reading and comprehension level magazine to tell the kids about how God is in control in our world. For a full year subscription you will get 10 fully colored magazines every month with the exception of May and December. Each magazine is 24 pages in length and has many activities like puzzles as well as news stories. In September they send out a 20"x 30" world map. I have the August, September and October magazines as well as the world map for my review. You also get online access to more activities as well. The online access gives you archived editions of the past magazines. There are also PDF lessons that are age appropriate for your child to do. Your online subscription comes with your paid magazine order. The online does allow you to see all content for all grade/age levels though. How we used it in our home! Since the magazines are not only a biblical base but also a geography and history outline we used these magazine for those lessons. We spent about 30 minutes a day reading the stories and learning about where the stories were from. This is where having the map was really nice. We could look up how far these areas were from us while learning about their cultures.. Also the news in the article was informative but nothing that was to much information for children, unlike trying to watch the news or read a normal news article. We would also spend some time doing the puzzles that were in the book. 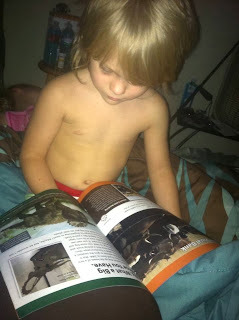 My kids really enjoyed being able to read the stories themselves and have them written in terms they understood. The print is also larger than normal magazines and all the pages are very colorful and great pictures. God's World News - Kids This site gives extra things to go along with your studies. We enjoyed going under the "Fun Stuff" section. This had many extra activities to do as well as quizzes. I love quizzes because then I can see that the kids are actually listening to me when I read them something. If I had older kids this is also the place that I could access the teen section for activities for the older kids in the home. God's World News Here you sign in using your zip code and the customer number from your magazine. God's World News also offers the following magazine subscriptions based on different grade levels. As you can see there is a great variety that would fit for any home. I really think this is great because the older the child gets the more than can understand about the news in the world and have that in their magazine. The added activities in the articles also give age appropriate help in areas that are worthy of studying at the age. Like in my Early Edition we had activities that helped with writing. We will continue to use our subscription and will be happily waiting for it each month to arrive.